If you or a loved one are struggling with an abuse of hallucinogens such as LSD, you may not be aware of how that drug is actually affecting your brain, with both short-term and long-term effects. It is important to know the potential damage that LSD could cause before you begin to take this drug just for its short-term hallucinogenic effects. Please call 800-592-1193 if you have questions. The first couple hours after ingesting a hallucinogen can result in the user hearing sounds or seeing images that may feel real but are only products of the drug. According to the National Institute on Drug Abuse (NIDA), this can not only affect their perception of reality, but also their mood and personality. Some users may experience distortions that are described as pleasurable or enjoyable, which will keep them returning to the drug, but others may also experience anxious thoughts and nightmarish images. Specifically, with the intake of LSD, the body will react with high blood pressure, dizziness, impulsiveness, and a great range of other short-term effects. LSD users can develop a tolerance very quickly. In order to achieve results, such as the potentially enjoyable distortions, they will have to increase their intake of the drug because their body has adjusted to the effects. HPPD is a potential long-term effect of LSD. As they continue to abuse the drug, their tolerance will build, and the increased amounts can lead to further negative health effects that can last a much longer time than the short-term effects. If you or a loved one are struggling with a desire to return to LSD or any other stimulant, just call 800-592-1193 to speak with a specialist about your particular situation and see what help may be available for you. According to NIDA, long-term effects of hallucinogens remain uncertain, but there are occasional resulting cases of persistent psychosis and hallucinogen persisting perception disorder (HPPD). Treatment methods are limited for either of these conditions, so the danger of developing long-term conditions from abuse of LSD is that recovery from such a condition could be difficult, even a life-long struggle. With persistent psychosis, the individual will continue to experience distortions and visual disturbances, altering their perception of reality. This can also lead to constant paranoia and a drastic change in mood. 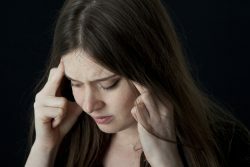 The symptoms of HPPD are primarily hallucinations and other visual disturbances, some of which may be mistaken for different neurological disorders. Despite the uncertainty regarding long-term conditions, any drug that alters your brain and perception of reality is not healthy in the long run. If you or a loved one are struggling with giving up LSD, it is important to seek recovery before the effects on your brain reach a critical point, and help is available to assist you in achieving this. Just call 800-592-1193 to speak with a specialist who can answer your questions and concerns and help you find a path to recovery that is suitable to your circumstances. How Long Can LSD Stay in Your System? - Although LSD isn't traceable after about one day, the psychological aftereffects can linger for days or even months. Symptoms of LSD Abuse - LSD abuse leads to hallucinations, sensory distortions, and a general loss of touch with reality. Sometimes it is very apparent when a person is high, other times it may be concealed. Do I Need Inpatient Care for LSD Abuse Treatment? - Inpatient facilities address the LSD abuse problem as well as any underlying mental health issues that may have caused or resulted from substance abuse.